Suffering from an ailment that no amount of medication and modern treatment methods could cure? Is your life a living hell with having to take in all those medicines in different shapes and sizes? We suggest Rudratherapy to such clients. Anyone with problems such as sinusitis, back aches, knee joint pain, allegories, migraines etc., can opt for the Rudratherapy offered at Vedic Folks. Other than health issues, we have solutions for low concentration levels, memory loss, negative thoughts, and emotional instability etc too. 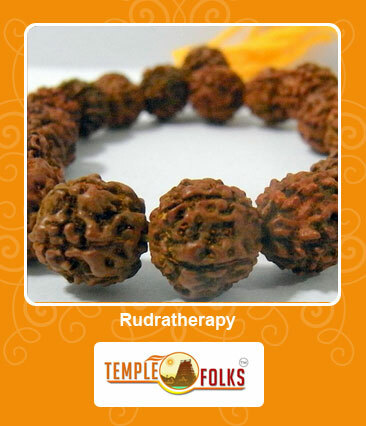 Just name a problem and our Rudratherapists will solve it. Our clients? good mental and physical health is our major concern and we put Rudratherapy to best use to achieve this. There are seven basic Chakras that are associated with the human body. All the seven points are found along the spine of the human body. A chakra is a point of energy in the Astral Body and based on these seven chakras, the senses and perceptions can also be divided into seven categories. The Chakra not only reveals an individual?s physical and spiritual health but also the Karma based on which the entire life is. For a healthy body and mind, it is important to know if the Chakras in our body are balanced or not. At Vedic Folks we will guide our clients through the process of balancing the Chakras to ensure that the health is in perfect condition. Further, if one gets to know the status of the Chakras in his/her body, it will ensure a closer movement towards the soul. For a contended life, the energy and vibrations of the seven chakras is completely indispensable. The Chakra Astrology is the combination of astrology and chakras. The Chakra Astrology is based on the birth date of an individual. By reading the charts, the astrologer would be able to analyze which Chakra has a direct influence on you. Since the Chakras balance the endocrine and central nervous system in our bodies, they are the energy nodes responsible for the well being of our body, mind and soul. When astrology has an impact on the Chakras, the planets cannot be left out. There is a strong association between the seven Chakras and the planets as well. Both the chakras and planets have an influence on the health and mind of an individual extensively. Studies, in fact, have revealed that there is a correlation between the seven chakras and the planets in astrology. At Vedic Folks, we offer Planet Chakra analysis to clients desiring to know the planet chakra that is dominant for them. This will certainly give a better interpretation of your mind and health. Find out more about your Chakra profile by getting in touch with our astrologers at Vedic Folks now!